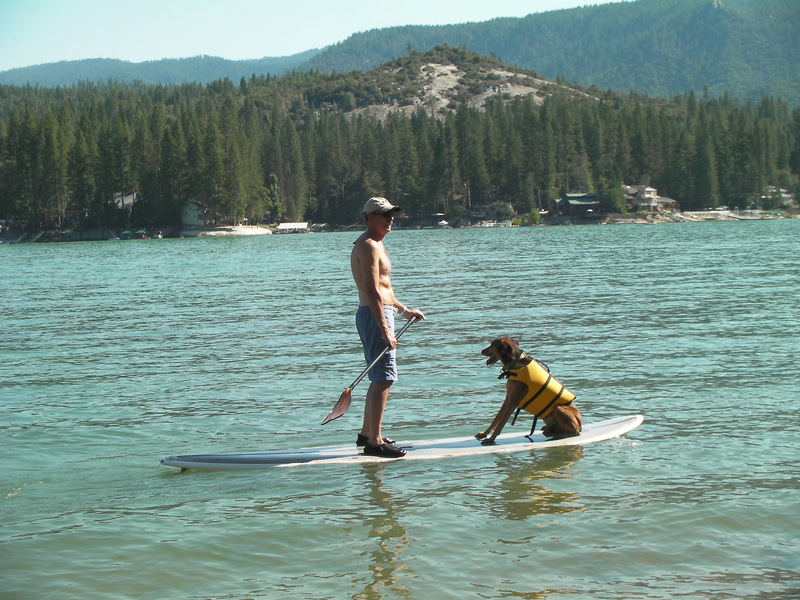 While up at our cabin in Oakhurst (south entrance of Yosemite) I had a chance to take Cooper out on Bass Lake for some SUPing. The water was warm, the lake was calm (except for the occasional boat, skier or jet-ski). Below is a six minute plus video of our adventure. This entry was posted in Random Surfing and tagged Bass Lake, SUP. Bookmark the permalink.